Counting the days till the release of the highly-anticipated release of Game of Thrones (GOT) Season 8? 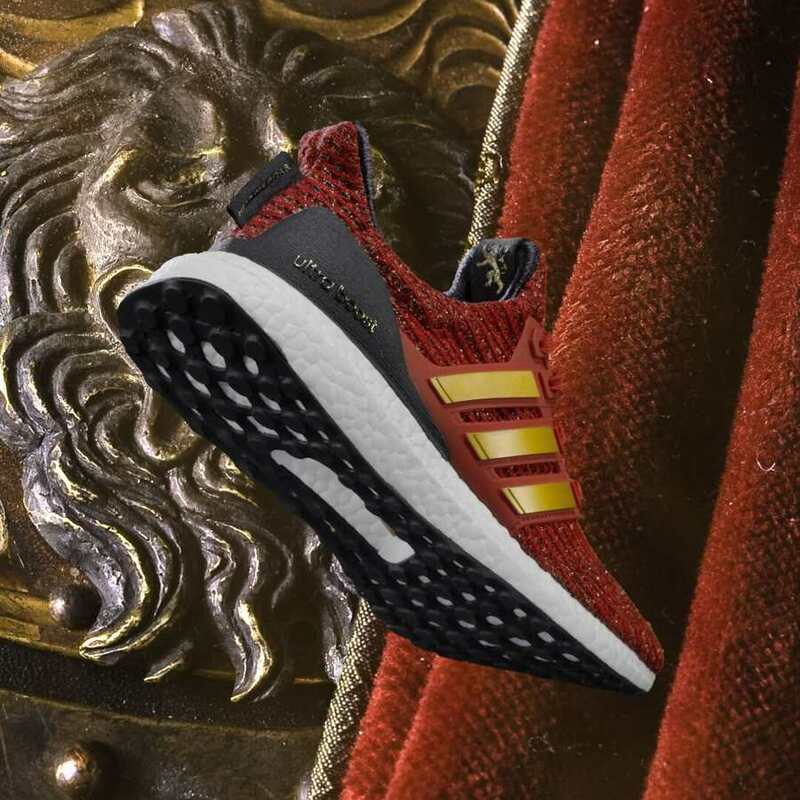 Fans may have to wait till 14 Apr for the premiere, but they’ll be able to grab themselves exclusive GOT sneakers very soon. 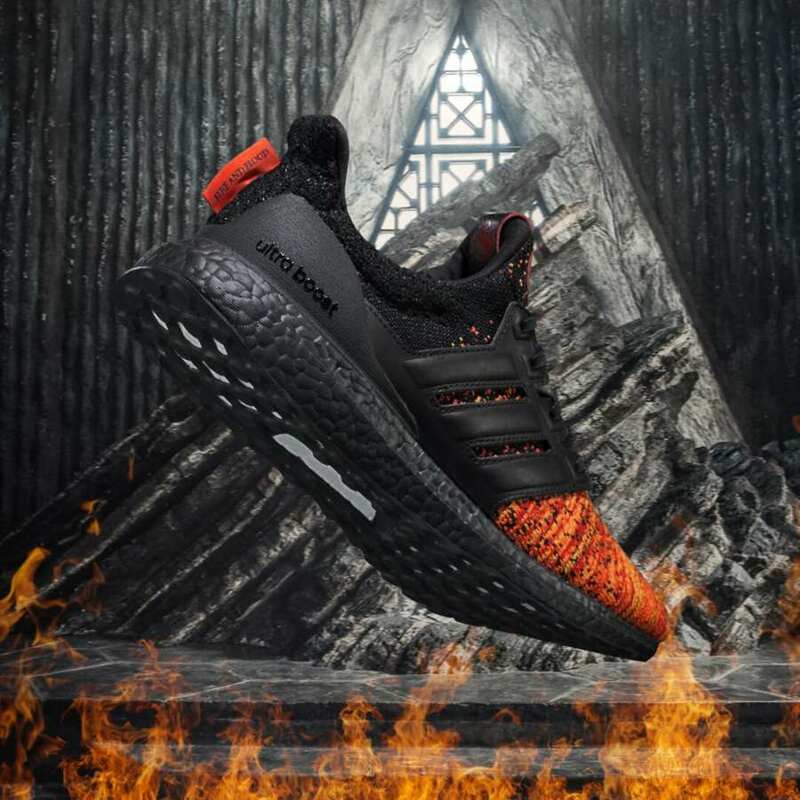 Adidas will be releasing 6 limited-edition GOT ultra boost sneakers starting from 22 Mar which fans can cop to choose who’s going to ascend the Iron Throne. 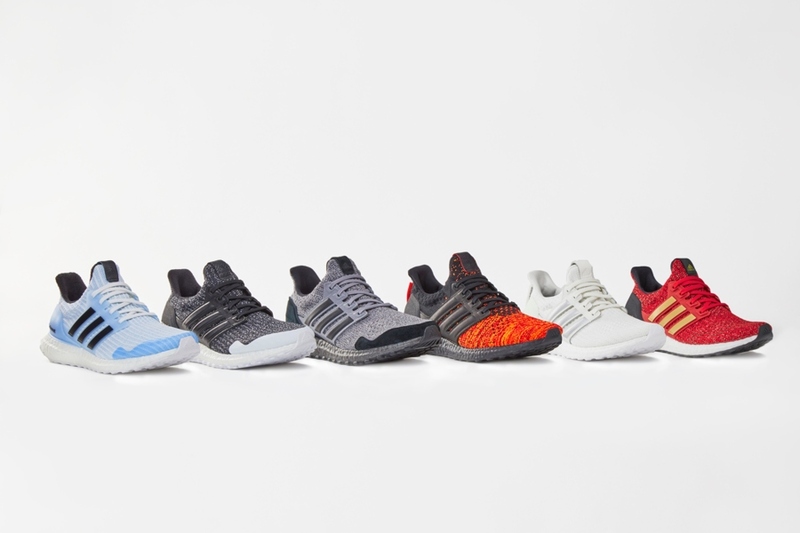 Here’s a closer look at all 6 sneakers. The Lannisters are known for their endless supply of gold. 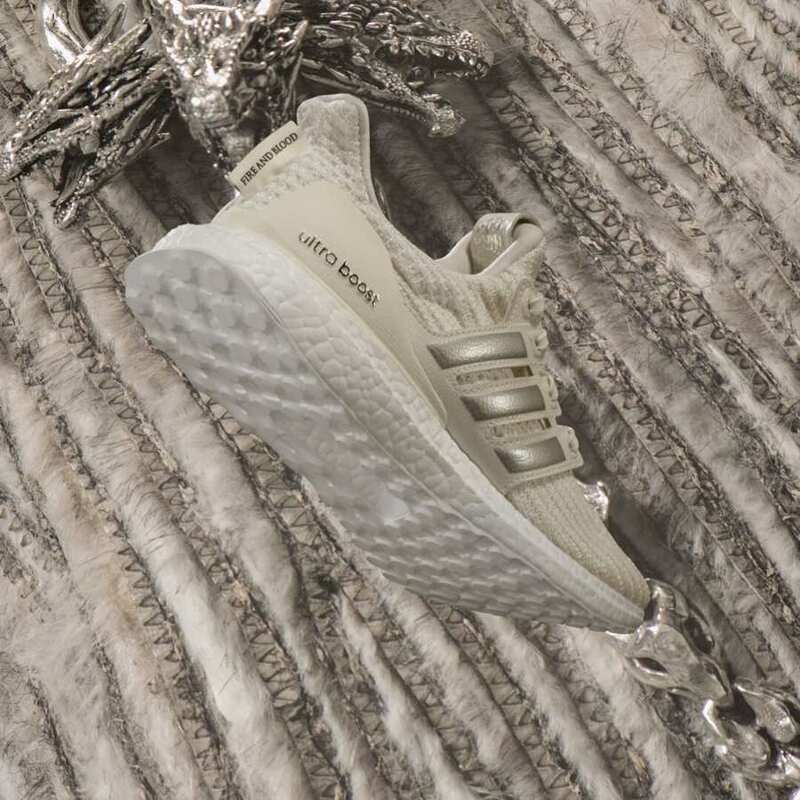 This is clearly represented using the gold details found all over the shoe. The red and gold combination makes it pretty suitable for Chinese New Year too! Chances of a member of the Night’s Watch ascending the Iron Throne may be slim. 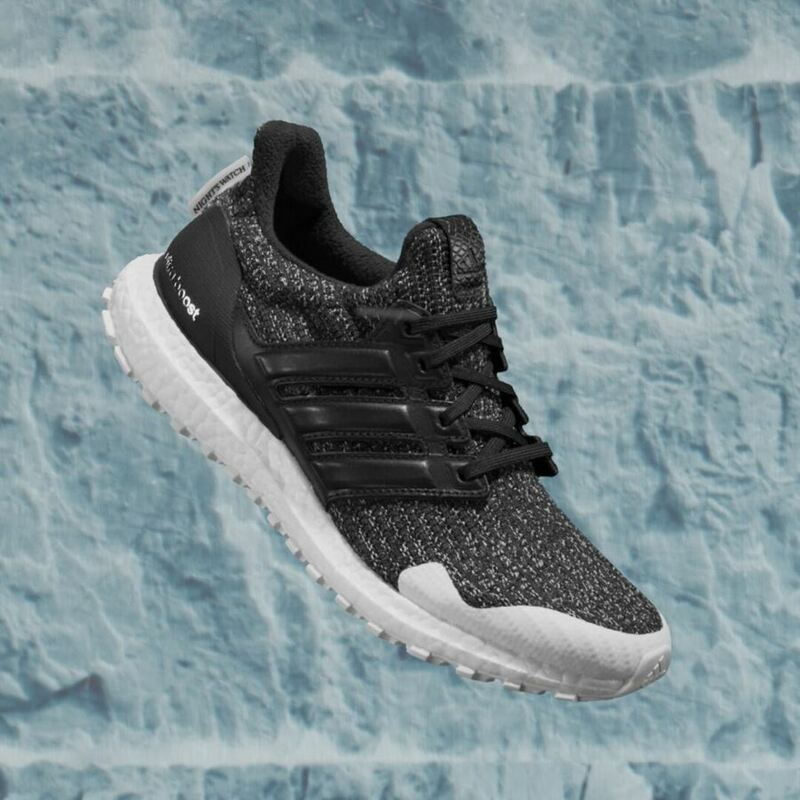 But if you’re rooting for Jon Snow to rule over Westeros, we think these Night’s Watch sneakers are the most suitable ones. 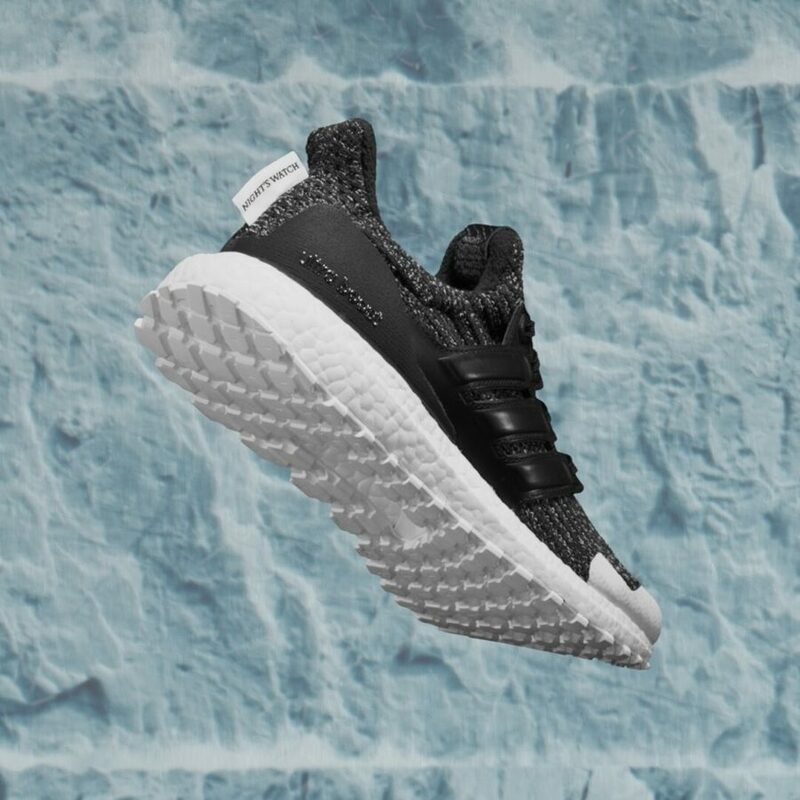 The white Boost foam looks pretty similar to the ice wall that the members of the Night’s Watch are tasked to guard. 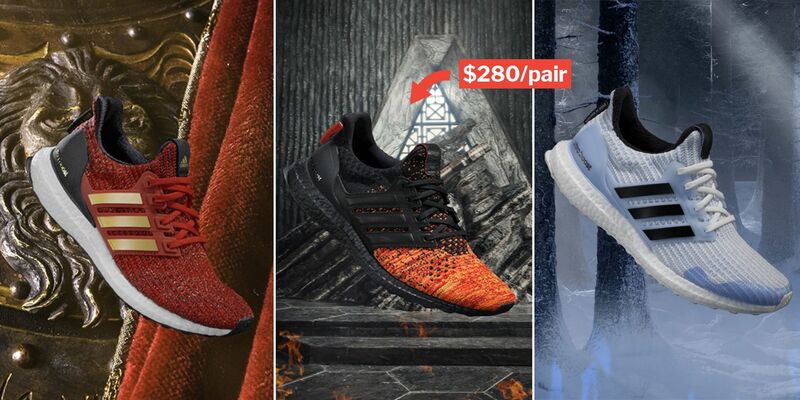 House Stark has met its fair share of tragedy since the first season, but if you’re looking forward to Arya or Sansa avenging their parents, these sneakers are definitely the ones for you. There’s also a black tag on the back that has the House Stark motto printed on it — “winter is coming”. 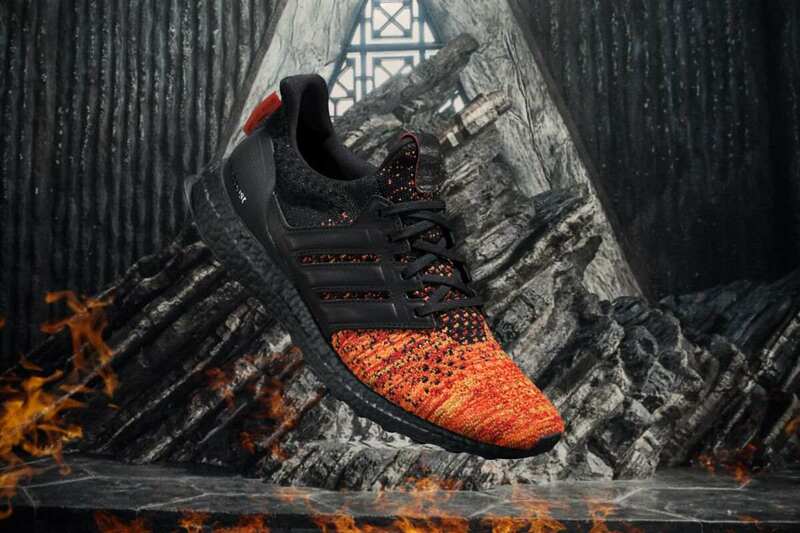 Arguably the ‘loudest’ sneaker in the collection, these Targaryen sneakers come in black and bright amber, which resembles dragon fire. If you’re looking forward to Daenerys’ dragons breathing fire down King’s Landing, go for these. 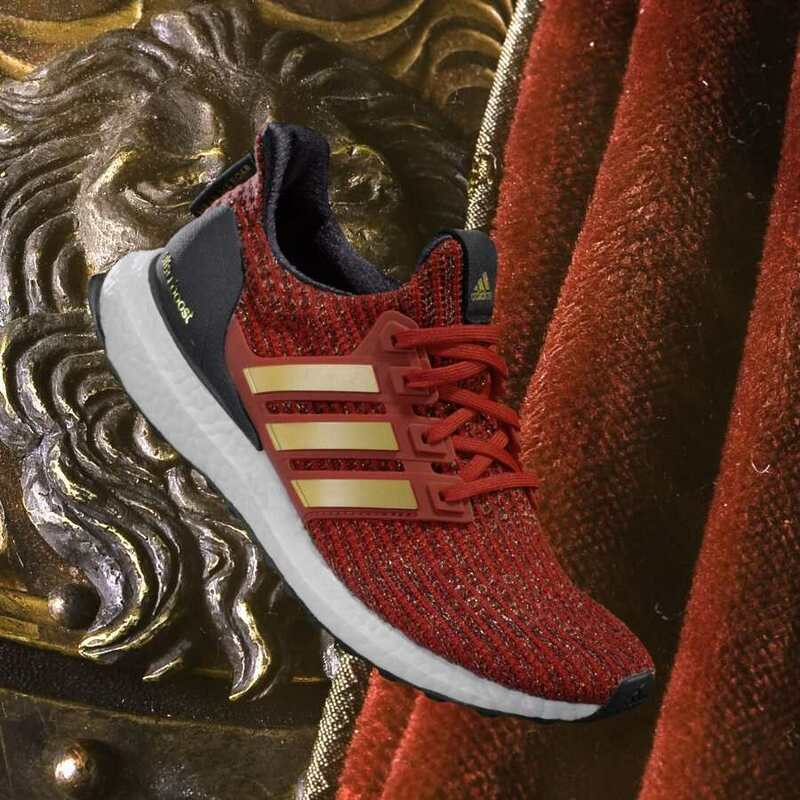 Targaryen supporters who prefer things subtle should opt for these sand-coloured sneakers instead. 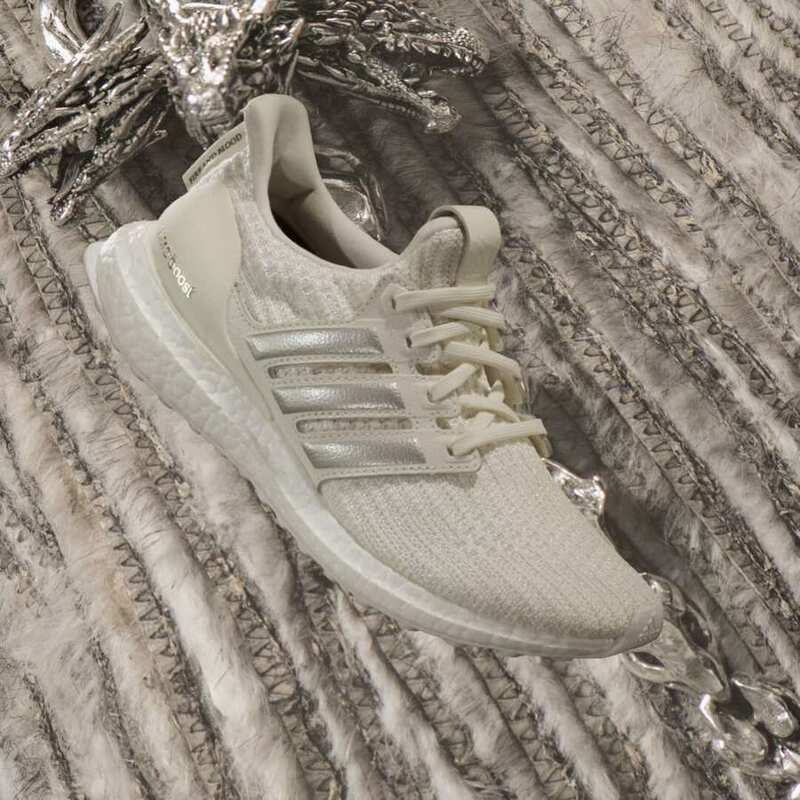 Not sure what the colourway was inspired after, but it certainly looks a lot like Dany’s signature grey hair. 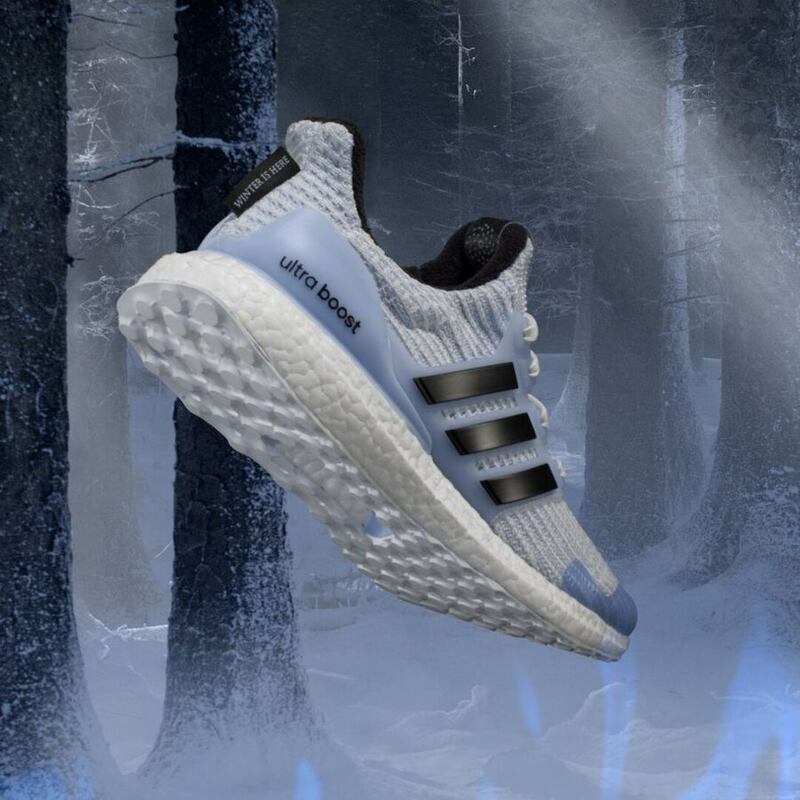 If you think none of the living deserves the Iron Throne, you can still vote for the dead with these White Walker inspired sneakers. 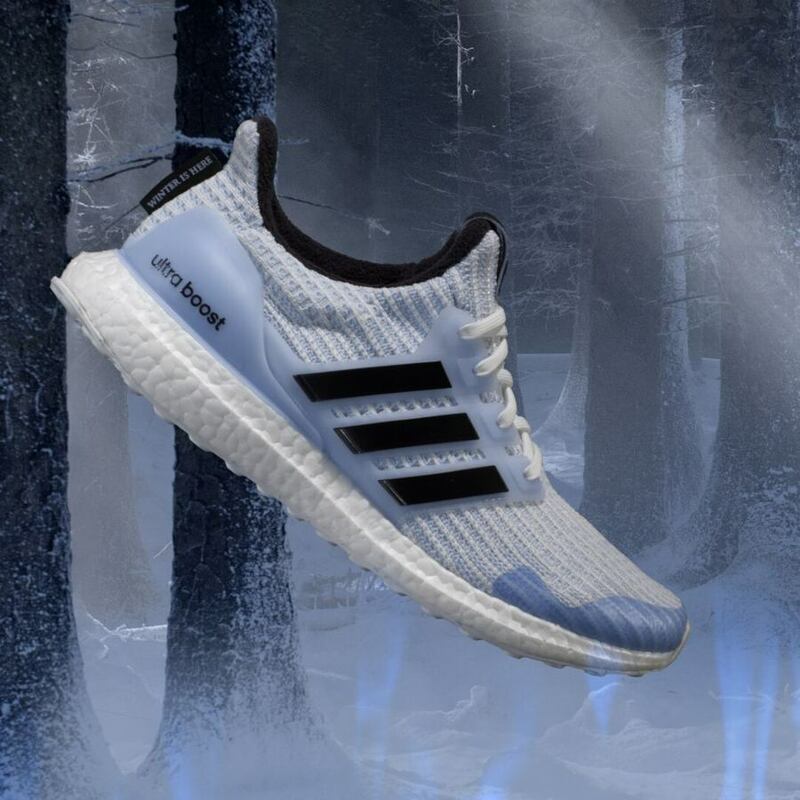 These sneakers come with a heel tab that has the haunting message “winter is here”, announcing the White Walkers’ ominous arrival. 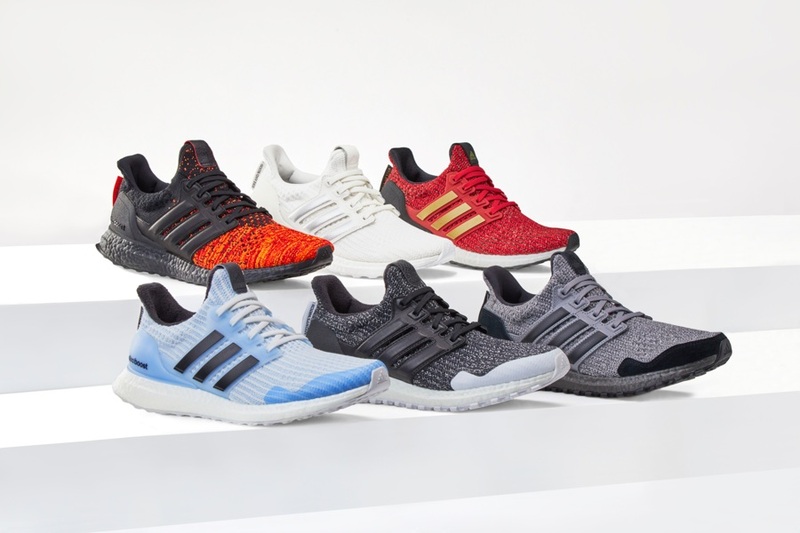 But given how popular the GOT series is, we suggest heading down early to secure a pair. 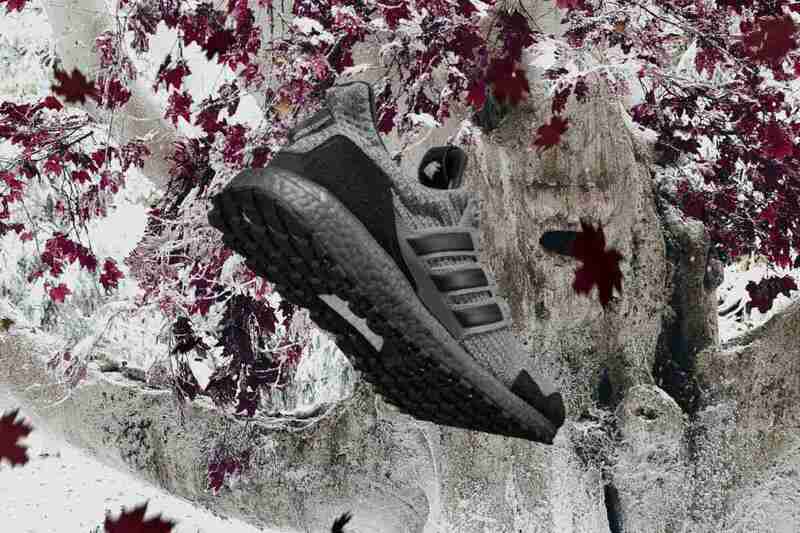 All the best in copping a pair! 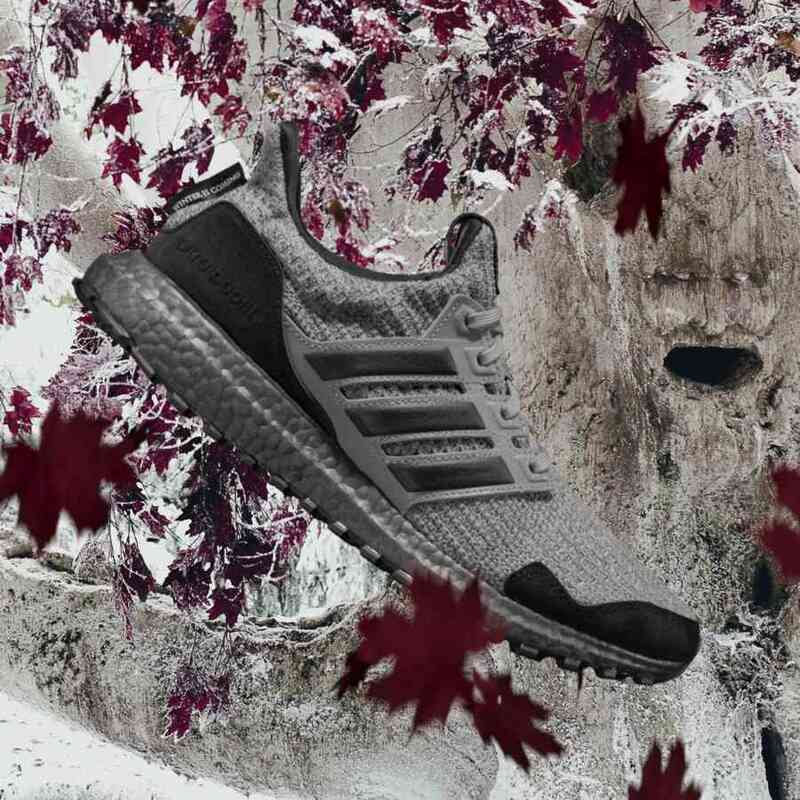 Featured image courtesy of Adidas.